How much does a loft conversion cost ? 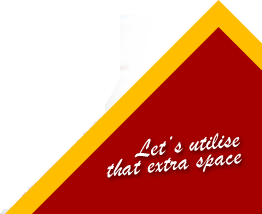 If the head height of the loft is above 2.3m, then there is a good chance that we will be able to convert your loft. Head height means a measurement from the top of your ceiling joist to the tallest point in your loft. Most of the time you will not need planning permission for your loft conversion, the work could be carried out under permitted development rights, this information should be on the property deeds, or available through your local planning department. How long does the loft conversion take? On average a loft conversion project will take around 6 weeks. However, this can vary on the type of project you have. Before a loft conversion can start, you must have an architect draw plans of the loft, a structural engineer’s calculations and building control application. We can assist with all of these. Do I have to use the architect you suggested? You don’t have to use our suggested architect, we are happy to use other drawings and calculations from other parties. Can I arrange for someone to come and look at my loft? Yes, we offer free quotations and can give suggestions and advice. Please call 01376 561025 or fill out an enquiry form on our contact page. We are fully insured and our policy can be viewed if requested. Can we see some of your previous work? Yes of course, we would be more than happy to arrange a visit to one of our previous conversions and you can view some sample projects if you click here.